As an internationally acclaimed leader in anti-aging therapies, Hanna Isul™ skin systems with the exclusive SOVAS 5 technology is coveted for the undeniable youthful glow results. Scientifically designed to penetrate deep within the cellular infrastructure for transdermal, corrective function and skin nourishment, Hanna Isul™ is the first and only transdermal skin care therapy system utilizing a patented human skin tissue equivalent for undisputed performance testing. Recognized for safe, effective and highest quality products, Hanna Isul is the ultimate in transformative skin care combining advanced delivery, proven antioxidants, multivitamins and botanicals. Hanna Isul™ Skin Therapy is much more than just anti-aging skin care. To touch a person and transform a life; this should be the passion for every skin care specialist holding the honor of nurturing and nourishing the natural beauty of their client’s skin. The skin of a woman is her most beautiful attribute and holds the ability of becoming soft and tender, without wrinkle or blemish, aglow with the natural beauty of health. HANNA means “Gift of God” and ISUL means “Morning Dew”. The seven grapes on the logo signify “Perfect and Abundant Life”. Myong chose these names to communicate the reality of a holistic skin therapy through the use of her products. Myong Chong® is the persona and spirit of Hanna Isul™ Skin Therapy, Inc. For over 30 years, Myong Chong®, founder and owner of Hanna Isul™ Skin Therapy Spa and Medical Skin Care in Fort Worth, Texas, has been defining the most effective modalities to skincare research and development. As the skincare segment proliferates with promises of youth, the seas truly part when it comes to the substantive results of the products developed by Myong. 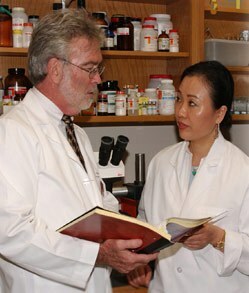 In short, Myong is a modern pioneer in research and development of unique and innovative cosmetic skin care products. These products provide superior anti-aging properties for cosmetically promoting beauty and attractiveness. Myong Chong® is the founder and CEO of the company, and is the inventor of the first U.S. patented Cosmetic Firming Formulation with international patents. 36 years of contribution to the skincare industry for Myong Chong, founder and owner of Hanna Isul Skin Therapy Spa and Medical Skin Care. As the skincare segment proliferates with promises of youth, the seas truly part when it comes to the substantive results of the products developed by Myong. While she and the Hanna Isul brand have achieved international acclaim, her tenure thus far has truly been focused on perfecting anti-aging skin therapies. Highly recognized for its transformative results and formulary advancement, the Hanna Isul product range has been and continues to be ahead of the current technology within the skin care industry. The therapy protocols and science remain unique to the Hanna Isul Skin Care brand. They cannot be replicated and are not available through competing brands. That is true sustainability at its best and the power perfecting time. Since 1982, Myong Chong has been defining the most effective modalities to skincare research and development. Myong established a product testing alliance with Dr. Gracy, Chairman of Biochemistry and Dean of Research at the University of North Texas Health Science Center, where a patented human skin tissue equivalent was implemented to measure safety and efficacy of products. The launch of the SOVAS 5 Medical Skin Care System characterized by 9 years of intensive research proved revolutionary. The transdermal delivery of five (5) potent natural ingredients nourish deep within the epidermis and cellular infrastructure. Her progressive approach to treatment led to the origination of two skincare patents that address the necessary functions for overall skin reform through healing and rejuvenation. U.S. patented transdermal firming formulation marked the first and only skin therapy that “breaks through” the superficial layers of the skin and dynamically impacts the skin’s growth cells. The second U.S. patent corners the skincare market with a clinically proven skin healing formulation. Among those that seek after Myong’s anti-aging methods are international dignitaries and celebrities. This year Myong Chong Foundation is being introduced as a conduit to serve the world beyond the treatment room. “For more than a decade, I have had a desire to build a charitable foundation to bless others with the gifts and prosperity God has given me,” states Myong Chong. The purpose-driven foundation promotes four (4) missions, (1) “To Serve is to Share the Word” Bible Ministry, (2) “To Serve is to Help Restore” Spiritual Retreat Ministry, (3) “To Serve is to Proclaim His Healing Power” Recovery Ointment Ministry and (4) “To Serve is to Give” Academic Scholarship Ministry. The story of Myong Chong is a beautiful depiction of her passion for serving others by helping them realize their true beauty. Her dream of sharing her journey will come to life in a book release entitled “Little Girl’s Mirror”. Myong Chong, 36 years of perfecting time and perfect purpose. 2007 Outstanding Meritorious Services N.R.C.C. 2013 Certified by USPACC Washington, D.C.
2013 Elected President for the Korean Association of Fort Worth. 2014 Certification of MWBE ,First Korean American in DFW to be certified. skin equivalent allows for controlled testing under a variety of circumstances to enable the researcher to understand the effects of the product on different skin conditions. This research method provides the most optimal systems for experimental development and testing of new skin care products to assure safety and quality with proven results. HSTE has allowed testing of many parameters including exfoliation, rehydration, collagen synthesis, and delivery of vitamins and nutrients to underlying cells and new tissue growth. When testing our products, we use Human Skin Tissue Equivalent. HSTE is a patented research tool developed at the University of North Texas by Dr. Robert Gracy and Dr. Dan Dimitrijevich, which replicates human skin tissue. This provides the most valid method available to develop new skin care products. Hanna Isul™’s most recent creation is a unique class of anti-aging products called SOVAS-5™. The SOVAS-5™ products have been researched in a laboratory under strict conditions. The people who have used these products have experienced continued youthful skin and many who have recently begun to use them have seen years of wrinkles disappear. These products are already well received and used by plastic surgeons and estheticians in Japan, South Korea, Canada and Spain. Click here to read some of our research on anti-aging for Asian skin. * U.S. FDA registered; Japan FDA and Korean FDA approved. Here are just a few of the many people who have experienced positive results from using our products. If you would like to share your experience, we would love to hear from you. There is only one product I put on my face before bedtime AND after a morning shower, and that’ s Hanna Isul’s Recovery Ointment. I have dry skin and am a retired senior citizen; this product is wonderful. When I am almost out, I panic and sweet talk my husband, Mike, to hurry and get a new jar! There is nothing like it; I have received many compliments on my skin. Thank you for creating this exceptional product! As a scientist who studies the aging process, I am familiar with oxidative damage and what it does to the skin and other tissues. My wife’s experience with Hanna Isul products was so impressive that I was convinced to try them. The AHA Firming Serum, 30/70 Serum and firming complexes have resulted in clear improvement in the health of my skin. These products are first class. 저는 노화의 과정을 연구하는 과학자로서, 피부와 그 밖의 다른 조직이 받는 산화적인 손상에 대해서 익히 알고 있었습니다. 저의 아내가 사용해왔던 한나이슬의 제품은 저에게는 너무나 인상적이었고 저도 써 본 후에는 제품에 대한 확신을 얻게 되었습니다 . AHA 퍼밍세럼과 30/70세럼, 퍼밍 컴플렉스는 저의 피부를 아주 건강하게 확실한 개선을 가져다주었습니다. 이 제품들은 정말 최고급 제품들입니다. Finding the skincare product is difficult in today’s market. Everyone is trying to find the ones that will make them look younger, firmer and less wrinkled. We all want the same thing …the “quick fix”! As a Dermatologist for the past 12 years, I am happy to report that the products from the HANNA ISUL LINE cleanse and moisturize while at the same time lifting and filling lines and wrinkles. The results are immediately visible, even after the first application. With formulations based on vitamin C and natural extracts, I have found these products gentle yet effective enough to use on patients immediately following laser rejuvenation treatments, microdermabrasion and even chemical peels. I would not hesitate in recommending the HANNA ISUL LINE of products to all skin types and especially recommend the Derma Firm drops for middle age to older skin for an instant lift and unwrinkled appearance. As a physician and pathologist, I have seen first-hand actinic (sun) damage to skin both visually and through the microscope. The women in my family and I have seen remarkable skin changes with the Hanna Isul® skin line, especially the Recovery cream. I would certainly recommend them without reservation. 저는 의사와 병리학자로서, 시각적으로 또한 현미경을 통해서 햇볕이 피부에 일차적으로 미치는 피해 사례들을 많이 지켜 보아왔습니다. 저를 비롯한 저희 가족 중 모든 여성들은 한나이슬의 스킨케어 제품들로 인해 놀랄만한 피부의 변화를 경험하였습니다. 특히 그 중에서도 리커버리크림은 정말 대단합니다. 저는 주저없이 확실하게 한나이슬의 리커버리 크림을 추천 할 것입니다. I have been using several of the Hanna Isul products over the last year. I have been very impressed with their ability to hydrate the skin and reduce fine wrinkles. They have become some of the most popular skin care products that we offer in our office. 저는 지난 해부터 여러 가지 한나이슬 제품을 사용해 왔습니다. 저는 이 제품들이 피부를 촉촉하게 해주고 미세한 주름들을 감소시키는 능력에 매우 감동했습니다. 한나이슬의 제품은 저희 클리닉에서 제공하고 있는 가장 인기 있는 스킨케어제품이 되었습니다. At first I was skeptical that the Hanna Isul® products would make a noticeable difference, but after using them regularly, I became a believer. They really work. 처음에 저는 한나이슬의 제품이 눈에 띄는 차이를 만들어 낼 것이라고는 생각하지 못했었습니다. 그러나 정기적으로 제품을 사용해 본 후에 , 저도 그 효과를 믿게 되었습니다. 한나이슬의 제품은 정말 큰 효과가 있습니다. I was asked by Myong Chong to describe our use of the Hanna Isul Recovery Cream with our patients receiving external beam radiation for cancer at the former Moncrief cancer Center. Moncrief Cancer center was a free-standing radiation oncology center with four locations in the Fort Worth area. Now, as Moncrief Cancer Resources, it provides exclusively ancillary cancer support services and no longer provides patient radiation treatments. The cream was donated by Ms. Chong and supplied by the staff to select patients who seemed to have an unusually intense radiation skin response and included patients in the process of receiving radiation both to the head and neck region, as well as to breast cancer patients. Patient Instruction: Patients were instructed specifically NOT to use the cream prior to their daily radiation treatment as the antioxidant effect was unknown. Patients were also told not to use the cream under the breast tissue, an area prone to moist desquamation. They were encouraged to try the cream if it seemed to provide relief from the effects of radiation (dryness, redness, discomfort). Patient’s were instructed to use the cream only on dry or reddened skin and to discontinue use immediately if the skin became cracked or open in any way. Patients were also instructed to wash off all the cream prior to their radiation treatment. Patient Response: Patients, without prompting, told the staff that the cream provided soothing relief, was easy to use and seemed to decrease the degree of redness in the radiation area. Staff also noticed that the degree of redness, especially seen in the post-radiation follow-up visit, was dramatically less. Staff Observation: One female patient, approximately 50 years old is recalled who received external beam radiation to the face, sinus, and neck. She completed her treatments without interruption, but on discharge her skin was deeply reddened in the radiation field. She was provided the cream instructed in its use and returned for her 1 month post-treatment follow-up visit. She had used the cream daily. The area where she received radiation was not uneven, discolored in any way, was not red, tanned, or otherwise affected. She was ecstatic with how her skin responded. It was the most dramatic change in skin that I had personally witnessed. I have used Hanna Isul Recovery Cream for 10 years and it is truly amazing. The most amazing thing is that it cured my Rosacea. No more really red nose – I am 78 years old. P.S. The rest of my face looks great too! 저는 10년 동안 한나이슬의 리커버리크림을 사용왔는 데 이 제품은 정말로 놀라운 제품입니다. 가장 놀라운 것은 저의 빨간코(로세시아 Rosacea)를 치료한 것입니다. 참고로 저는 78세입니다 . 코 뿐만 아니라 제 얼굴의 나머지 다른 부분들도 정말 좋아보입니다 ! I have received treatment for a skin condition, with features similar to psoriatic lesions, from Myong Chong® at Hanna Isul® for the last 4-6 weeks. I have had a great deal of improvement in my facial skin with the lotions, creams and other treatments, which I did not receive from a good deal of dermatological care. 저는 지난 4-6주동안 건선부종과 유사한 피부질환으로 인하여 한나이슬의 Myong으로 부터 치료를 받아오고 있었습니다. 저는 일반피부과 관리치료에서는 받아보지 못했던 한나이슬만의 로션, 크림 등을 통한 각종 치료들로, 제 피부의 엄청난 향상을 Hanna Isul에서 경험하고 있습니다. God Bless Recovery Ointment!! I burned my finger yesterday on a very hot light bulb. I immediately put it under cold water and then applied recovery ointment. I rubbed it in and then I washed my hands, I even washed the burned finger. But guess what? The burn disappeared! I met Myong about 6 years ago shortly after just moving to Ft. Worth. I was introduced to all of the Hanna Isul products, but only began using the now famous “Recovery Cream”. Experiencing almost immediate results from this one product in using it for various things such as a daily moisturizer, a soothing agent for insect bites stings and burns, and even mouth ulcers quickly prompted to release my chains of frugality and begin investing in more of Myong’s products. Trying a whole line of anything was definitely new to me, but after experiencing my own personal positive results I began discovering that my youth was being preserved by the investment I was making in the Hanna Isul skin care products. I was only in my late 20’s when I began using Myong’s products; therefore, I did not have a tremendous amount of aging and sun damage to my skin, but Myong was instrumental in educating me on the effects of sun damage and the difficulties of reversing age once it begins making its mark on your skin. Seeing visible results on my in a sense “young skin”, such as tightening, firming, lifting, and smoothing of texture made me convinced that if I began using these products religiously during my 20’s that I would not have a lot of aging to try to reverse in my later years. I am now 30 and this has proven true. Because of my strong belief in who Myong Chong is, all that she stands for, and what she continues to create in her entire line of skin care products, I find myself wanting to spread the good news of the greatness of her products and what they have done for me. Myong has always told me that beauty can be timeless if you treat is as an investment. The pure and natural properties of the Hanna Isul Skin Care products will nourish and renew the condition of your skin, allowing for the glow of natural beauty to shine forth. I’m an editor for Vogue International and use Hanna Isul’s Vita-C SPF 30 daily on myself and all of the models! It’s a miracle! I think I’ve turned 20 people on to the product. I have sensitive skin and Hanna Isul is the only Spf 30 that doesn’t break out my sensitive skin or cause acne and keeping my skin burn-free. 저는 인터내셔널 보그잡지의 에디터이며, 저를 비롯해 저와 함께 일하는 모델들이 매일 한나이슬의 Vita-C SPF 30를 사용합니다. 이 제품은 정말 기적과 같은 제품입니다. 20명 모델들이 현재 모두 한나이슬 제품의 팬입니다. 저는 정말 민감성 피부를 가지고 있습니다만 한나이슬의 비타C SPF-30만이 유일하게 저처럼 과민성 피부와 여드름성 피부를 가진 사람들에게 화상없이 피부를 유지하는 안전한 제품입니다. 정말 감사합니다! It was wonderful as always. On top of the usual fabulous treatment, So Hui, my esthetician, prepared some hot tea for me. She knew I had been sick all week and wanted to help my cold. It is the additional customer service I always get!!! My face feels wonderful when I leave and now my throat is better too. 저의 에스티션인 소희씨는 저를 위해 따뜻한 차를 준비해 줍니다. 소희씨는 제가 일주일 내내 아팠던 걸 알고, 감기로 고생하는 저를 돕고 싶어했습니다. 이것은 한나이슬에서 제가 항상 추가로 받는 고객 서비스입니다. 트리트먼트를 받은 후의 제 얼굴의 느낌은 너무나 좋고, 목 아픈 것도 훨씬 좋아졌습니다. I have been using the 30/70 Serum and the Sovas Firming Aha Serum for a few months now and I have really loved it. After just a week I noticed that my skin on my face was firmer and my pores were smaller. I also noticed an improvement in my fine lines and age spots. They were starting to get lighter. The products have really improved my skin quality and I love it. Going to see Myong and Hanna Isul is just a wonderful experience. They treat you like you are their only customer and give you that personal experience. Their products are just wonderful and such a treat to use on your face and neck. Thank you for always making my visits wonderful and improving the health and over all appearance of my skin. 저는 몇 달전부터 30/70세럼과 Sovas퍼밍아하 세럼을 사용해 왔으며, 정말 너무 좋아합니다. 딱 일주일만에 제 피부에 탄력이 생기고, 모공이 작아지는 것을 실감할 수 있었습니다. 또한 잔주름들과 노화로 생긴 검은 반점들도 좋아지기 시작했습니다. 피부톤도 밝아지고 검은 반점들의 색도 옅어지기 시작했습니다. 한나이슬 제품들은 정말 제 피부의 질을 향상시키고 정말 좋습니다. MYONG을 만나러 가는 것 자체가 정말 멋진 경험입니다. 한나이슬에 가시면 귀하만이 유일한 고객이 되시며 한나이슬이 제공하는 귀하만의 멋진경험을 느껴보실 수 있으실 것입니다. 한나이슬의 제품들은 정말 우수합니다. 얼굴과 목에 바르는 귀한 정성입니다. 항상 한나이슬에 갈 때마다 그 멋진 경험하게 해 주셔서 감사하고 제 피부의 개선시켜 주신 데 감사합니다. I was not blessed with nice skin and have struggled with products my whole life. That changed when I met Myong five years ago and started using her products. My skin has never looked this good, even when I was younger. 저는 타고난 좋은 피부가 아닌터라 평생을 고생해 왔습니다. 그러나, 5년전 MYONG을 만나 그녀의 제품을 사용하기 시작하면서 모든 것이 바뀌었습니다. 사람들은 제 피부가 아주 젊어보이고 좋아보인다 합니다. I first met you in 1996 and started this journey of healing my red, dry, blotched skin. Today because of your incredible treatments and amazing products, I feel like my skin looks six years younger instead of six years older. I feel so much more confident about my appearance because my skin is the best it can be. The results have far exceeded my expectations! 제가 Myong을 처음 만나서, 저의 붉그레하고 건조하며 얼룩덜룩까지한 피부를 치유하는 여정을 시작한 지 6년이 되어갑니다. 오늘 Myong 당신의 놀라운 치료와 놀라운 제품 덕에, 저는 제 피부가 6년 나이 들어 보이는 게 아니라 6년 더 어려 보이는 느낌이 듭니다. 제 피부가 예뻐보이기에 제 외모에 대한 자신감이 더 생겼습니다. 결과는 항상 기대치 이상입니다!